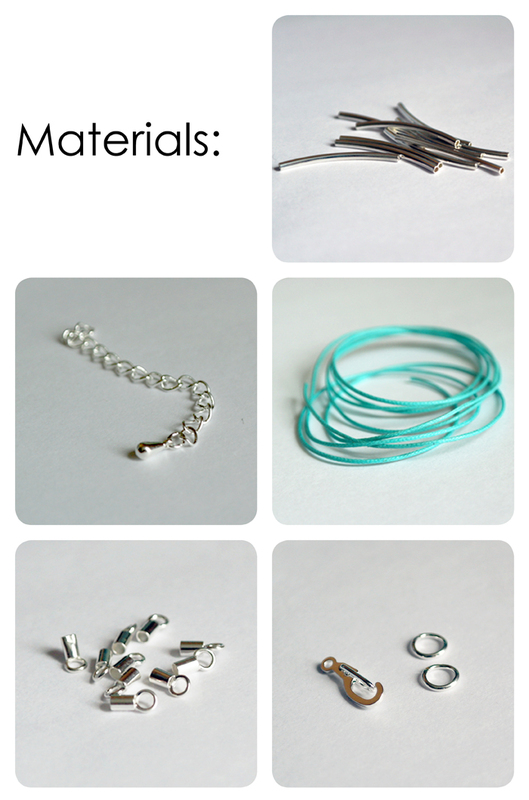 I haven’t put up a DIY tutorial in a while, so it felt like a good time to introduce to you the metal mutlistrand bracelet. Super quick to make, and depending on the materials you use it can be the perfect piece for summer or fall. For the summer bracelet I went with waxed cotton cord in a nice turquoise colour and for the fall, I switched it up with leather. More detailed instructions after the break. Cut the cotton waxed cord into seven equal pieces that fit around your wrist minus 1cm and string the metal spacers onto each cord. Place an end cap on either end of each piece of cord and secure with pliers. Take a jump ring and place all the ends together, close with pliers. Add clasp and extender chain.